It is believed that the dead animals, which were found in debris in water and sand along the popular beaches, were washed ashore after heavy rains struck the region last week. 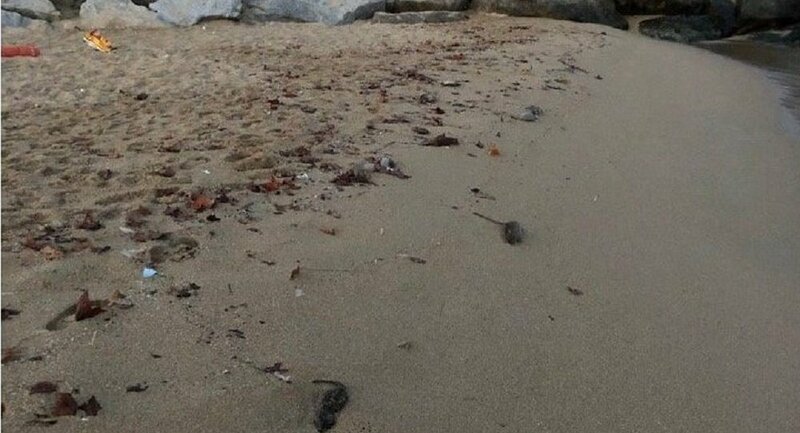 Yellow flags were raised on ten beaches in Barcelona on Sunday after dozens of dead rats washed up on the Spanish coast, El Periódico daily reports. In videos posted on social media, the corpses of rodents are seen floating along the seashore in debris. Some of them have accumulated in the sands of packed beaches, presumably because of storms and flash floods that hit the city on Friday. — btv notícies (@btvnoticies) 19 августа 2018 г. Local officials rushed to clean up the beaches after the rain, scooping the deceased rats out of the water with large nets. Some bold vacationers, however, urged them to remove the yellow flags and eagerly went swimming despite the dead rats floating around. — Cesar Obando Oficial (@obandooficial) 18 августа 2018 г.
Barcelona, the second-largest city in Spain and capital city of Catalonia, is one of the world's most popular tourist destinations. According to official statistics, in 2016, it welcomed some 32 million visitors, including 8 million overnight tourists, far outnumbering its 1.6-million population.